HISD Cut Our Magnet Funds! ATTN: Bulldog Community. HISD and our District I Trustee, Elizabeth Santos has informed Heights HS that HHS will NOT RECEIVE MAGNET FUNDS beginning this fall. It is believed that HHS resides in a “rich neighborhood”. HISD & the Board believes our campus can survive. The fact is since 1896, Heights has been middle class. We have various levels of income in our neighborhood. We are not “rich” as River Oaks and West University are known. HHS has less white enrollment than the district average. HISD is 8.7% white. For HHS, 2017-18 numbers are 7% white, 12% African American, 80% Hispanic, 1% Asian. 65% are economically disadvantaged. 2. Attend the next board meeting on May 10th. Sign up to speak and be heard. 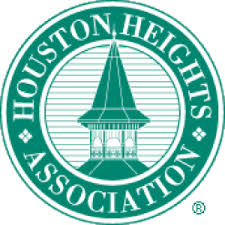 Mark your calendars and please join us for the next meeting of the Greater Heights Super Neighborhood Council (GHSNC) on May 15th at 6:30 PM at the Old Heights Fire Station, located at 107 W. 12th St., Houston, Texas 77008. The GHSNC guest speaker will be HISD District 1 board member Elizabeth Santos. There are over two dozen HISD schools inside the GHSNC area. This meeting will give Ms. Santos an opportunity to address issues involving these school; the current budget situation and take questions from GHSNC neighbors. WE have many questions. We will keep you updated as this continues to unfold.